Ranked 7th out of 25 ornithology journals based on Impact Factors. Avian Conservation and Ecology is an open-access, fully electronic scientific journal, sponsored by the Society of Canadian Ornithologists and Bird Studies Canada. We publish papers that are scientifically rigorous and relevant to the bird conservation community in a cost-effective electronic approach that makes them freely available to scientists and the public in real-time. ACE is a fully indexed journal that welcomes contributions from scientists all over the world. Do you have a great idea for a special feature in ACE? Please contact one of our Editors in Chief with your ideas regarding necessary and timely research foci to help us understand the conservation and ecology of birds. We select one or two special issue topics per year. 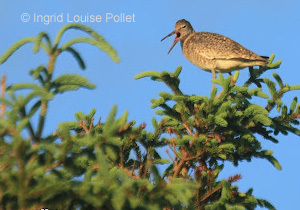 Bird Conservation in the Boreal Forest: Is there a Case for Resilience?